This is a post I've been meaning to do since last spring. Oops! 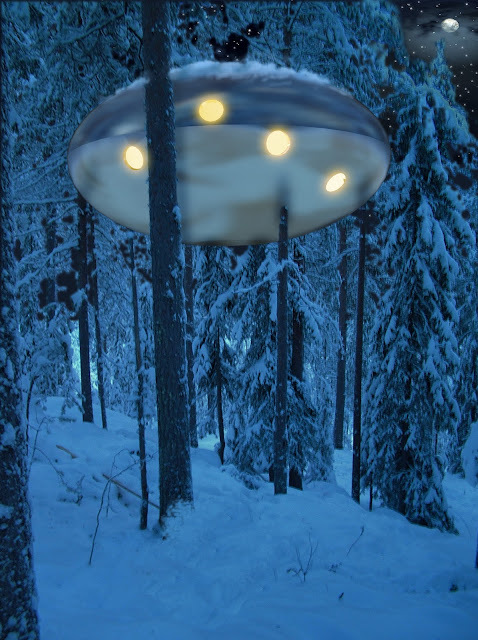 Now the branches are weighed down by snow, and spending a day in a treehouse sounds more like a frosty form of torture than a luxury. But when it's time for the birds to come back north, they're going to have some serious competition for their tree-top real estate if I keep seeing buildings like these. From what I can tell, the treehouses above were commissioned by private clients of Alain Laurens. 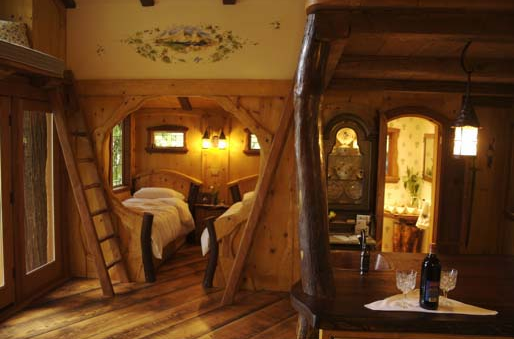 Laurens left a successful advertising carer in 1999 to pursue a childhood dream, and he has since built over 220 treehouses throughout Europe with his firm, La Cabane Perchée. Right now, I'm coveting his book, Exceptional Treehouses, which showcases 30 of his aerial masterpieces. Closer to home is TreeHouse Workshop, a Washington State firm that has built nests across the country. 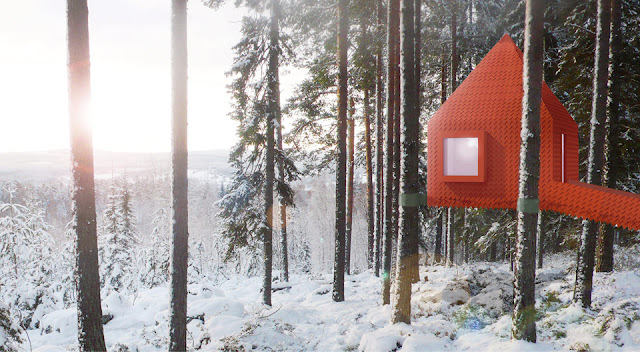 If bears lived in trees, I would be convinced that this is the house that lured Goldilocks. 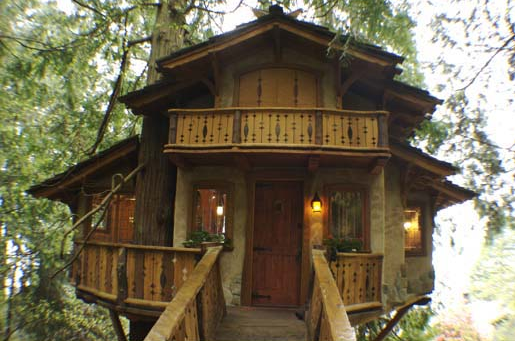 The chalet-style treehouse in Olympic Penninsula, Washington, looks like it came straight from the pages of a fairytale. 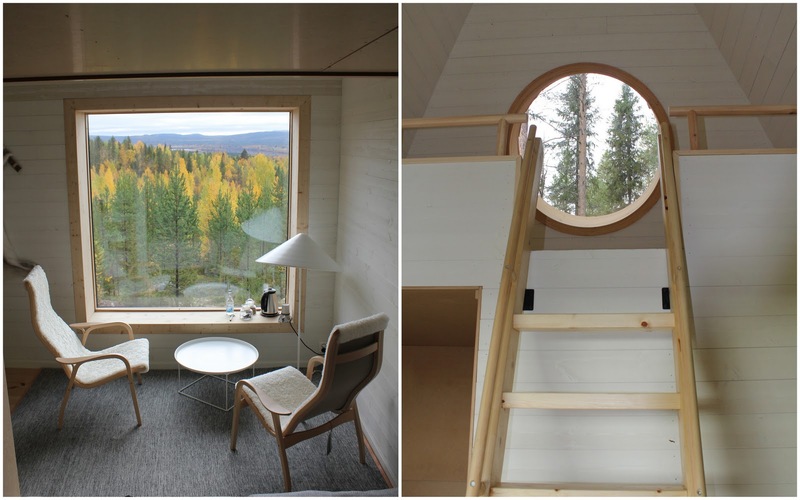 TreeHouse Workshop built this guest house with running water and enough space to sleep four. 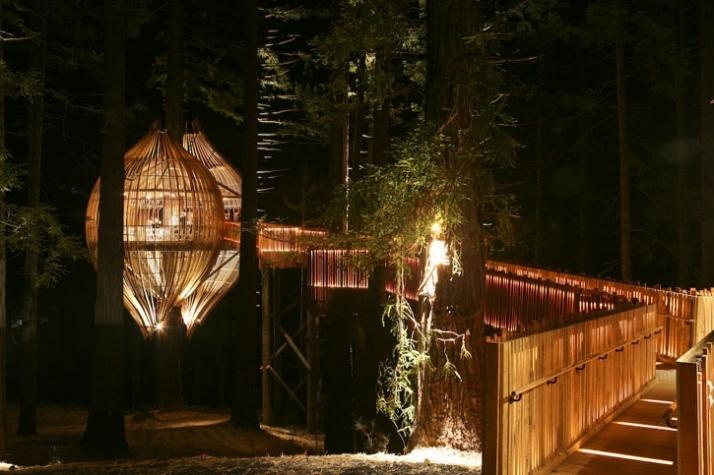 And Diana of exPress-o brought my attention to the Yellow treehouse restaurant in New Zealand. While Yatzer wrote in early 2009 that the restaurant was fully booked, the official website says it's "closed until consent is obtained." Well, that's unfortunate. 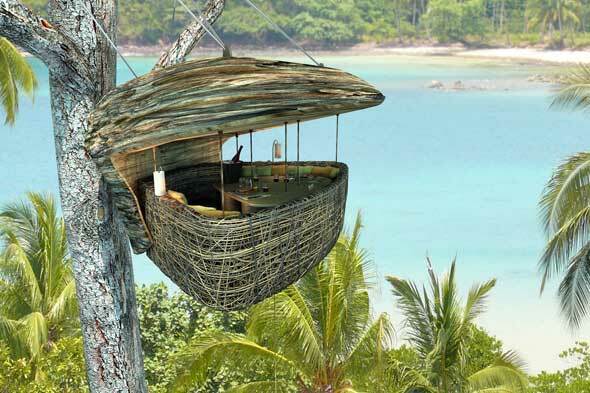 In the meantime, you could dine in this palm tree pod on the Thai island of Koh Kood. 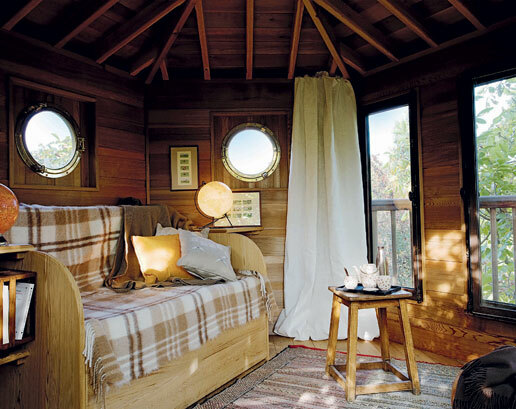 Can you imagine spending an afternoon up here with a good book and a daiquiri? So, what do you think? Would you spend the night in a treehouse, or would fear of heights get the best of you? I know which side I fall on. 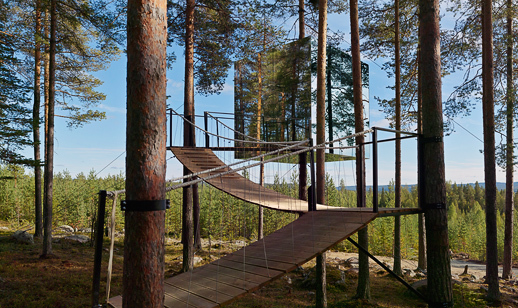 Treehotel, here I come! marissa this is an awesome post! 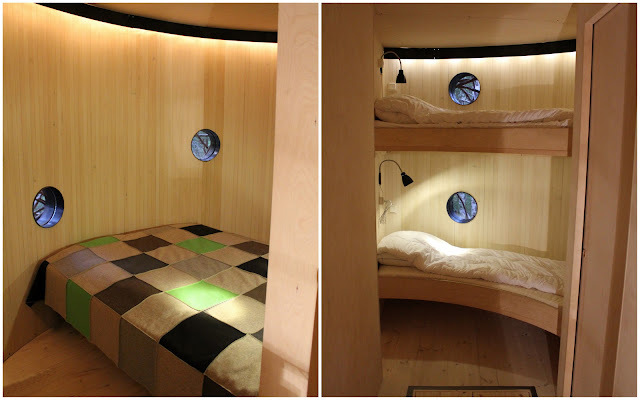 i recently saw an incredible book about treehouses at nomad on mass ave. you should check it out. i think you'd be a fan! This is INCREDIBLE! So unreal, like your greatest fantasies coming true. 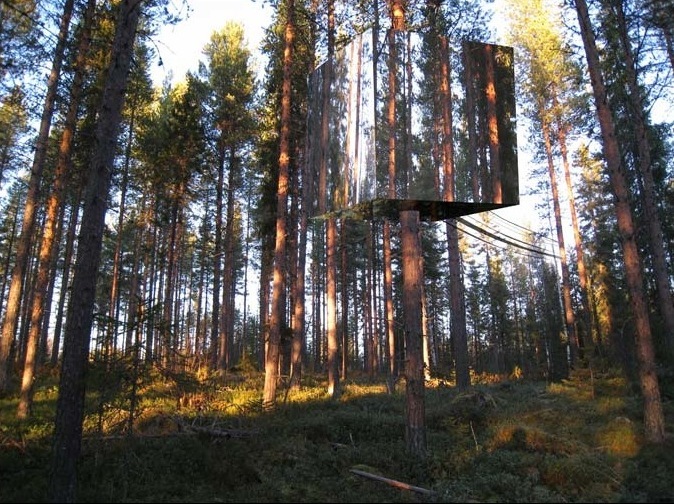 I saw the mirrored cube in a magazine a while back but all the ones you've displayed are fabulous. Would love to stay in all of them but mostly in the first one, the New Zealand Yellow restaurant and the Palm Tree Pod. Thanks for sharing. Thank you so much! It took forever to put this together. I love Nomad; I'll definitely have to go check the book out. Totally building one of these someday..when I make lots of money, that is. 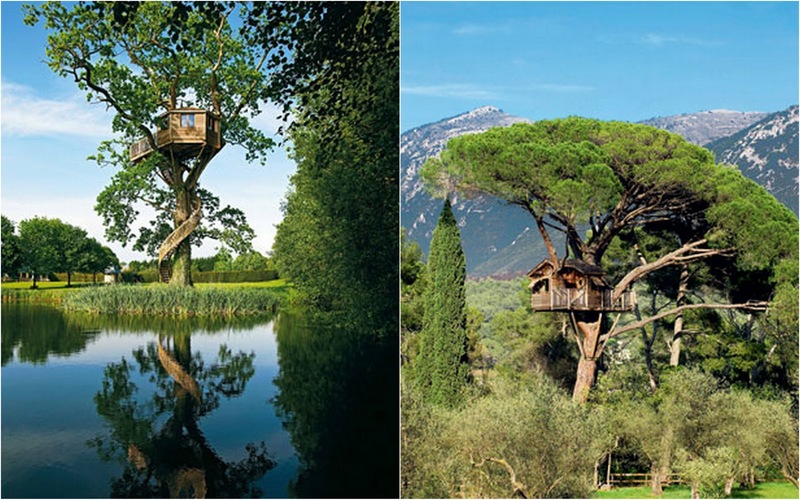 I've ALWAYS wanted a treehouse - these are incredible. There's a place in France where you can rent them. I really want to do it this summer! How incredibly magical those are! Never realised there were so many tree houses. Some truly amazing ideas here. I might have to "upgrade" if I ever have the funds! wow, these places are amazing! truly incredible. thanks so much for sharing these. Oh, my god. This places are so freakin' cool! Basically, my dream house. Some of them look like something out of Rivendell. 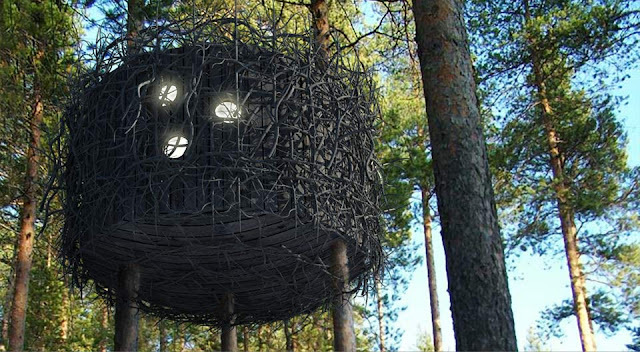 And hello, a treehouse where you can dine on an island straight out of paradise? Hell to the YES!! Great post. very cool! hopefully will meet you tongiht at StyleBoston's event! Great meeting you at the Style Boston event tonight...rushed home to google your blog before I forgot! Love this post, tree houses are so much fun....especially when they are well done on the inside! Hope to see you around town again! Oh my gosh what an insanely fabulous post!! 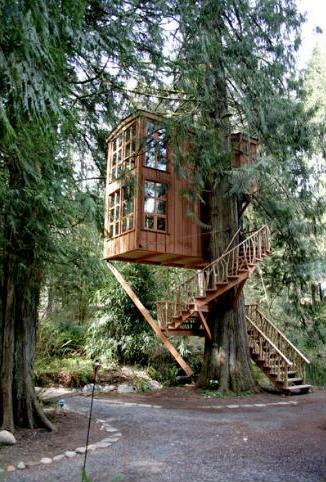 I would LOVE to live in a treehouse. Why do they just have to be for kids?! These are amazing! These photos are amazing! Thanks for giving us a peek :) The one over water would scare me, but besides that I'm good! these are incredible! 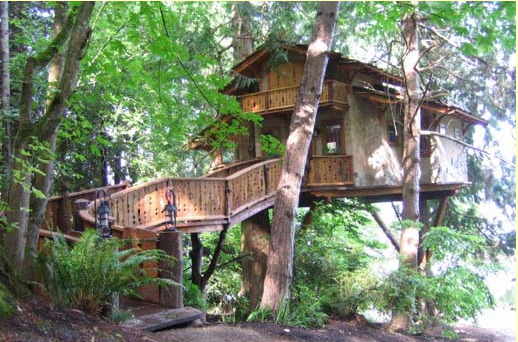 i had a tree house growing up and would spend hours with my sis in it playing, telling stories, etc. the bright orange tree house and the spiraling staircases are unreal. shame we didn't get to formally meet the other night. there's next time! Love this post! 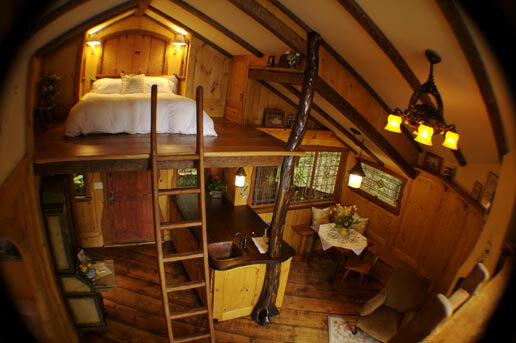 i used to dream of living in a treehouse when i was little, and now i do again!